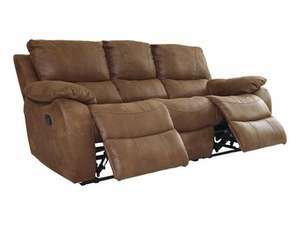 Not leather sofa, but extremely comfortable! Well, at least for me. After debating of weather to get this online (with Quidco) or get it in store. Was considering of taking the 3 years warranty as well (£90) which then will ended up with £399 + £90 + £59.99 (delivery). I didnt know they can change the total price! Bargain for me.